E-cigarettes have become incredibly popular over the last decade. They have finally been recognized as a healthier alternative to cigarettes, and they’ve reached a mainstream level. People can now purchase these products at specialized shops alongside tobacco stores. They are every bit as popular as any other alternative source of nicotine, and they’re really helping to fight the smoking epidemic. Not only are they healthier, they’re also much cheaper! You can effectively buy one model, and then continually replace the liquid inside of it. This liquid isn’t particularly expensive, and you can even make your own. On top of this, there’s a huge variety of different flavors available. It’s practically done away with the nasty taste and carcinogens associated with traditional cigarettes. 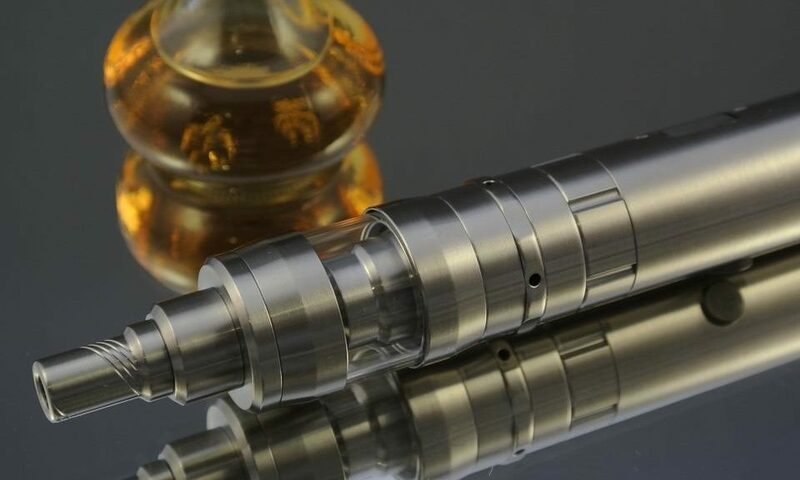 The right type of liquid for your e-cigarette is really going to be dependent on you. Both propylene glycol and vegetable glycerin are used as a smoking basis for the e-cigarette liquid. They are mixed with small amounts of nicotine as well as a huge variety of different flavorings. These flavorings can be food grade or from a number of different sources. It’s important to make sure that you’re using products that are only intended to be inhaled in order to make sure that the product remains healthy. Essentially, the small battery will create a thermal reaction that vaporizes the liquid in your e-cigarette. You can then inhale this vapor, and have nicotine delivered directly into your lungs. You’ll get the same feeling as smoking a cigarette without any of the dangerous tars or carcinogens. Even looking among the available products gives you insight into why this e-cigarette liquid is so popular. With flavors like ice cream Sundays and apple pie, you’ll find yourself getting your nicotine in ways that you never could have imagined. This also includes a huge array of other desert flavors that can satisfy every aspect of your sweet tooth. There are even fruitier options available for people who like things to be a bit less rich. This is comprised of some of the best products that vapor king has to offer. You’ll find things like Oreo cookie or raspberry crème brûlée. This is really a personal delicacy, and not something that you’re going to want to share. If you buy the right flavors, you can find yourself experiencing something totally different every time you try a different e-cigarette liquid. There such a huge variety of different options that really help to explain why people never go back to traditional cigarettes. These are exactly what they sound like. You’ll experience all of your favorite beverages from cappuccino to red bull! The variety here is huge, and you’ll find a different liquid for each time of the day. This is one of the more enjoyable flavor categories, and you can even find things that are exotically green tea or whiskey. Regardless of your personal preference, there’s going to be something here to entertain and delight you. The best part about perusing through E liquids is that you’re never going to get bored. Even if you don’t like something, there are always other options out there. You’re not restricted to one or two different types and you’re guaranteed to find something you’ll love. Previous PostThe importance of choosing the best e cigarettes kitsNext PostInfographic: 7 Advantages Of Electronic Cigarettes!